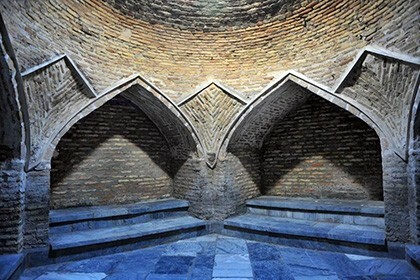 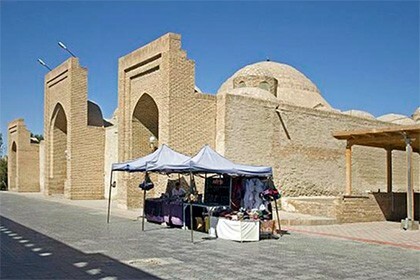 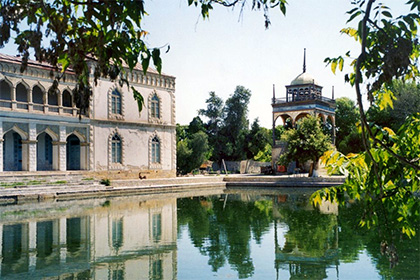 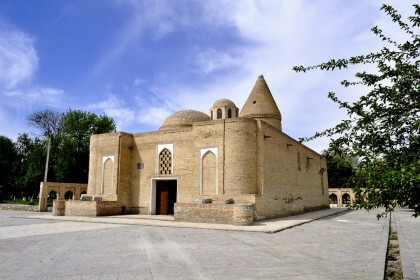 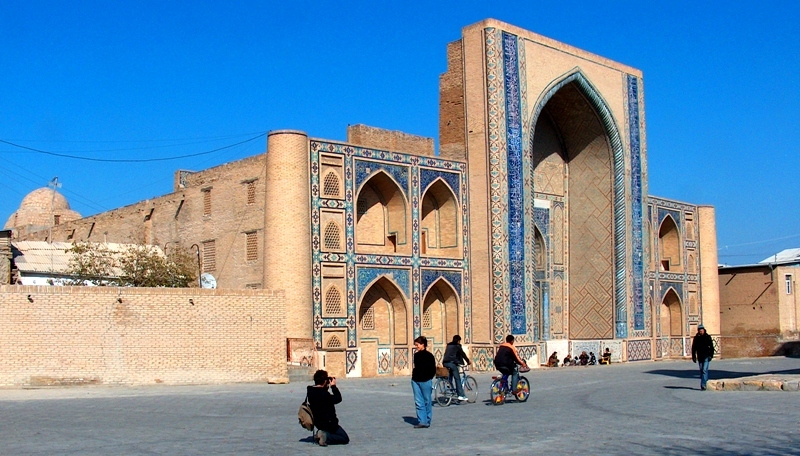 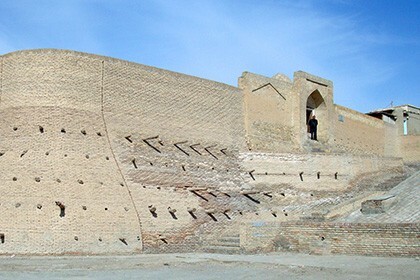 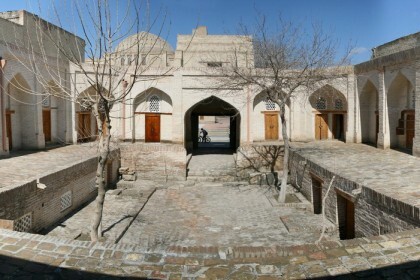 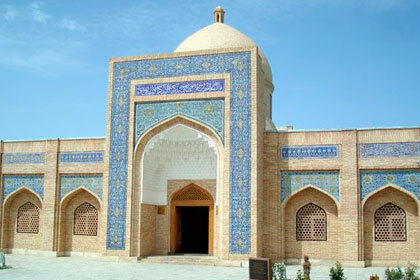 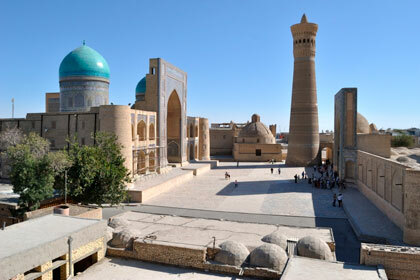 The Ulugbek Madrasah is an ancient religious school in Bukhara, built by the decree of Ulugbek, the grandson of the great commander Amir Temur in 1417. 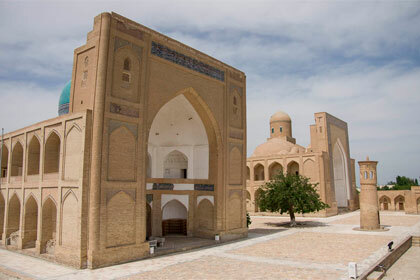 The educational institution is a single integrated complex with the Abdulaziz-khan madrasah standing in front of it. 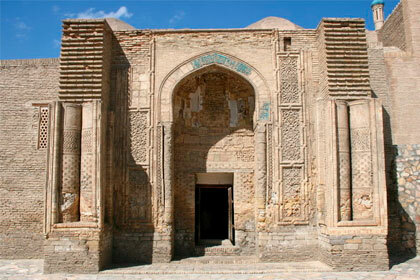 From early childhood Ulugbek was fond of studying different sciences, but he had a special craving for astronomy. 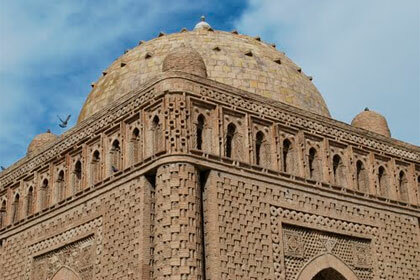 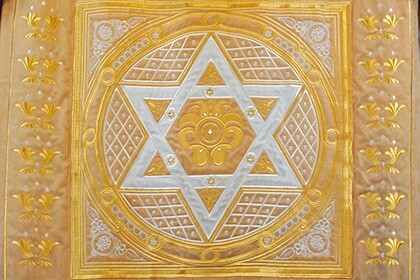 This passion of his life is directly reflected in the buildings that he constructed. 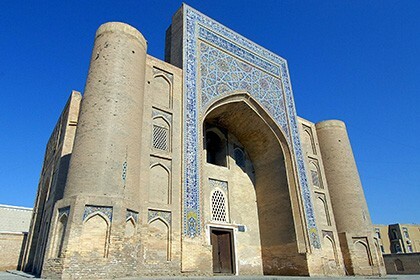 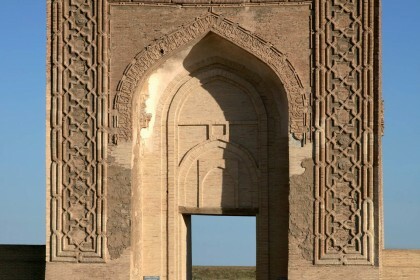 Along with the study of Islam, Ulugbek wanted to instill the thirst for secular sciences in his people and make his state the center of scientific development and education. 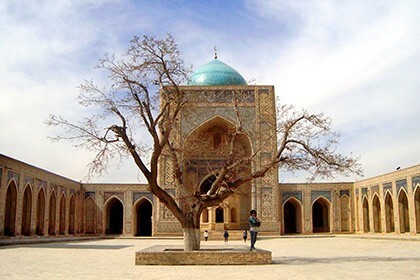 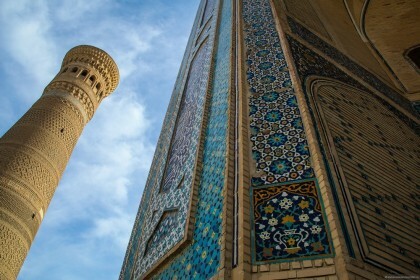 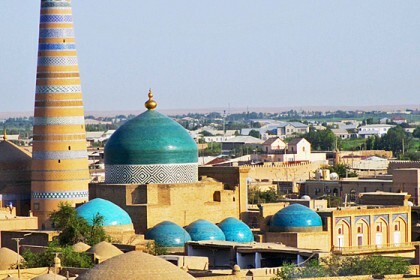 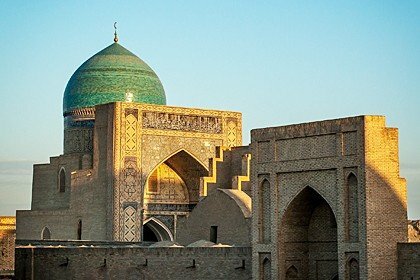 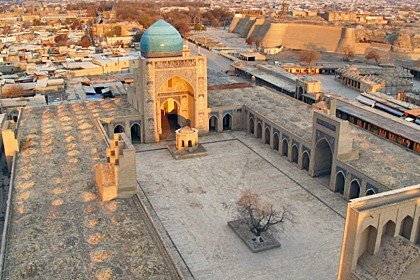 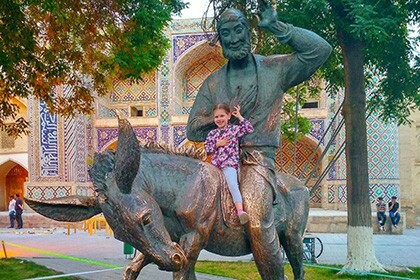 To this end, he built the madrasah not only in Bukhara, but also in the famous Registan Square in Samarkand, as well as in the city of Gijduvan. 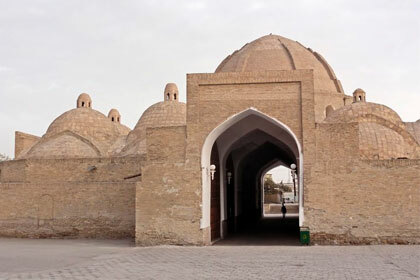 These educational institutions were the samples that they tried to imitate when building such madrasahs for a long time. 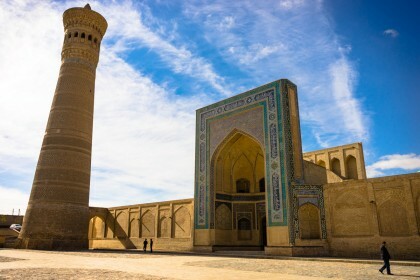 About 80 students could study in the Ulugbek madrassah in Bukhara, and the best scientists from all over Central Asia were invited for effective education. 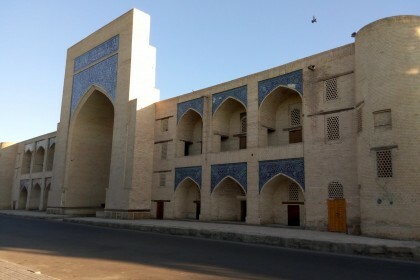 The facade of the madrasah is represented by a huge arch entrance, as you get into the madrasah you find yourself in the diverging corridor leading to the school and the mosque for Friday prayers but not in the inner double-hanging courtyard. 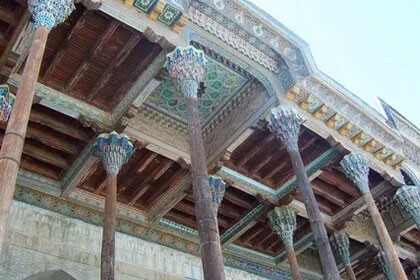 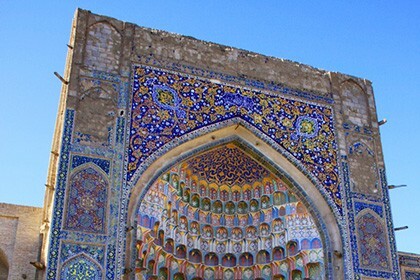 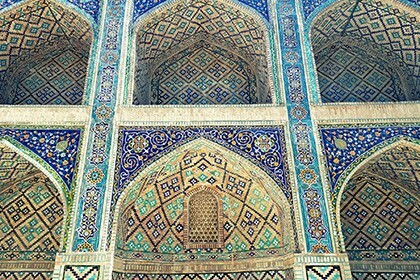 The madrasah is decorated with blue majolica, and there are astral notes predominate in the patterns, symbolizing the main hobby of the great Ulugbek. 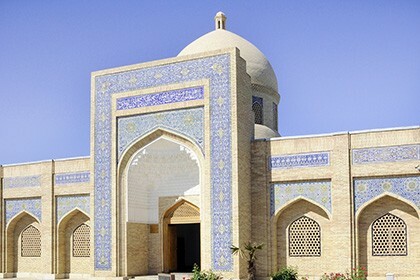 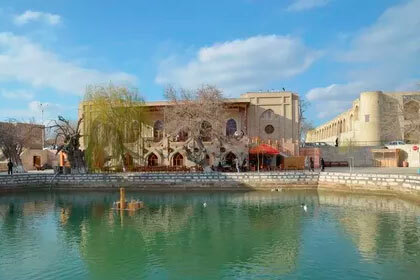 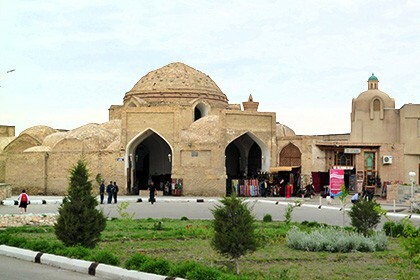 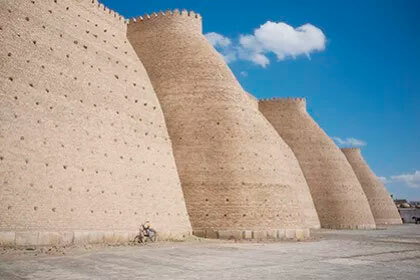 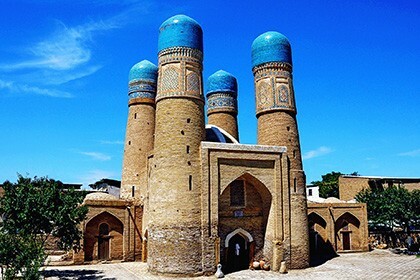 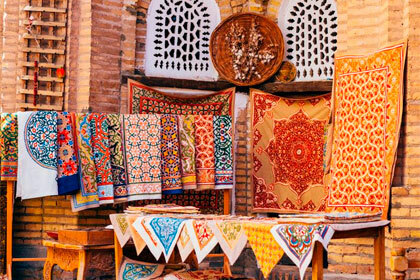 Currently, there is the Museum of the History of the Restoration of Monuments of Bukhara on the territory of the madrasah, where many tourists get acquainted with the traditional architecture of the city and various restoration works.